Lately I’ve been thinking about what it means to find my ‘voice’, to speak my own truth. I’ve been working on that for a lifetime. (That’s 43 years and counting.) I’ve still got a long way to go but I’m learning fast. I was trained in silence by my abuser (a member of my extended family). It’s damn hard to speak of an experience that is so wounding and (still) so stigmatised. I can end up protecting others by acting like nothing serious has happened to me, and by repeating the party line: everything’s okay, I don’t need any help, no one has to face this. Of course, I’m not completely defined by the fact that I experienced CSA. But even I when speak of other things, my outlook is that of someone who’s been through this crucible of abuse and recovery. My voice won’t sound like other people’s, and I don’t want to impersonate them anyway. Ultimately, if I’m subtly forbidden to speak of this significant part of my life, my whole self will be compromised. Voice and empowerment, chicken and egg. When I feel more powerful, I speak my mind more often. And as I tell the truth of myself to one person, then two, then three, I feel more powerful. I come to realise that I matter, and I develop the knack of stating what matters to me. If my voice is strong and truthful, I can use it to change minds in a packed room or to comfort myself in the still of the night. Both count. There are so many ways of developing voice. Your route might be painting, or going to therapy, or teaching maths – everyone’s different. But writing suits a lot of people, whether we write journals, novels or blogs, and whether we let others read them or not. So I sometimes read books about writing. Lately I’ve been enjoying Writing Alone and With Others by Pat Schneider, who founded Amherst Writers & Artists. I’m also fascinated by Around the Writer’s Block: Using Brain Science to Solve Writer’s Resistance by Rosanne Bane. Some of their insights got me thinking about the survivors who write – those survivors who choose to commit their truth to paper or pixels. What do survivors need when writing? Everyone who is brave enough to write down their thoughts and feelings needs the following things, and I think survivors of sexual abuse and violence need them in spades. Let’s not buy into gung-ho ideas about what ‘real’ writers do and how they write every day, come what may. On that score, I agree with the author of this article, ‘Writing Begins With Forgiveness‘. As Pat Schneider notes, ‘The roots of a useful discipline lie in understanding ourselves, and that is a gentle matter’. The limbic system is the part of the brain that ‘provides the capacity for emotion and relies on the fight-or-flight instinct in response to threats’. It’s the bit that takes over when we’re afraid. Sometimes it does and we don’t notice what’s happened – we think we’re still in control and making rational decisions. So, when life doesn’t go to plan, we berate ourselves instead of blaming the true culprits, which are the subconscious forces of resistance. Bane says that if your attempts to forge ahead through self-discipline are thwarted by resistance, ‘You are not weak-willed, thin-skinned, oversensitive, underdisciplined, or lazy. You are reacting to a subconscious awareness of a potential threat’. And if anyone lives day to day with an internalised sense of threat, surely a survivor of an experience as traumatic as sexual violence and abuse does. In the rest of her book, Bane presents practical ways to address resistance. These mainly involve removing the threat by promising yourself you’ll do no more than a certain amount of writing (or preparation for writing) at a time, no more than a few times a week. It can be five minutes, three times a week – whatever doesn’t feel scary. You build from there. Schneider echoes Bane in asserting the potential for positive outcomes: ‘Those wounds can be healed, those blocks can be removed’. She also quotes the writer William Burroughs: ‘There is no such thing as willpower. Only need’. Need and fear. Get past the fear, and we can raise our voices, meet our needs. Schneider writes, ‘The first and greatest fear that blocks us as writers is fear of the truth that we may discover … [but] where there is fear, there is buried treasure’. It can be a long road from having our personhood so fundamentally disregarded as it is when we are sexually victimised to knowing our own worth and being able to bring our unique selves – our treasure – out into the light. When we do, it does us good, but it also benefits those around us. As Schneider says, ‘If we valued the voices of those who have been denied a voice, we would have a canon of literature so much more diverse, interesting and humane than the canon we do have’. I accept that survivors are as diverse as any other social group and that having been a victim of CSA doesn’t guarantee anyone a fine character. But I do notice that many within our ranks deeply understand how vital integrity is, see through false idols, and know exploitation when we encounter it. Between us we have many interesting and powerful things to say, and our silence deprives society of the chance to learn from us. Writers need the same support as anyone else seeking self-expression, and we need it even more when we have emotional wounds to heal. Schneider says, ‘Find and keep in contact with other writers/artists who can provide you with an intimate community of support, give you honest critical response, strengthen you, and encourage your work’. I don’t interpret this as pressure to share our writing with others, or to do so before we’re ready. ‘Breaking silence’ might simply mean being honest with ourselves for the first time, perhaps in a private journal. But writing gives us choices: if we decide we want to, we can drip-feed our written insights into the wider world and become agents for change there too. 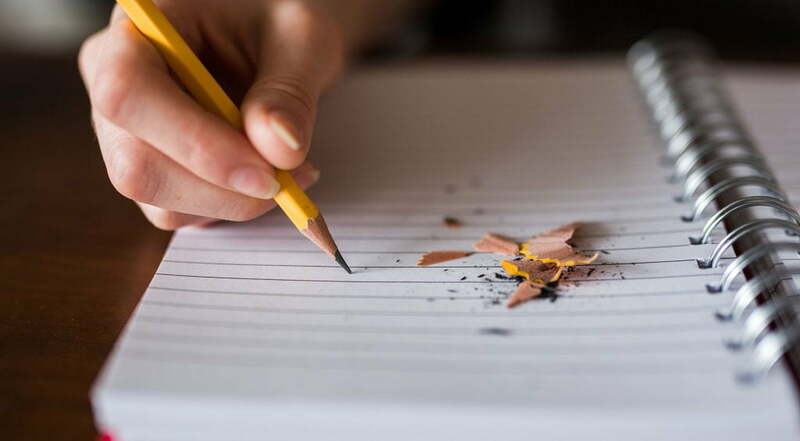 It’s a discipline that can be difficult to develop, especially when life has delivered some hard knocks and our voices are shaky or even absent, but it’s worth it because ‘Writing is inextricably linked to working on one’s own inner life and outer relationships’. To summarise, it’s a question of using writing, in whatever forms we prefer, as a path to justice, citizenship and wholeness. The jazz musician Miles Davis put it best: ‘Man, sometimes it takes you a long time to sound like yourself’. Well, your time is your own, so take all you need. And if it’s taking you a long time to find your voice, it doesn’t actually mean you’re falling behind. Behind who, exactly? As I’ve been recovering from CSA, I’ve sometimes felt as if time has been stolen from me, time that I’ll never make up. But the older I get, the more truly I believe that the deeper development required to heal from trauma and despair is worth more than any shallow keeping-up-with-the-Joneses. Ultimately, survivors who seek healing aren’t behind on any of the measures that actually count. Our value is all intact and waiting for us to voice it. Our voices, found and honed through our writing or in whatever ways we prefer, are the gift we give back to life.